When the original Shire was built for The Lord of the Rings, the set was not designed for any permanence. In order to obtain permission to film in New Zealand, Peter Jackson was under contract by the New Zealand government to destroy any sets built for filming. 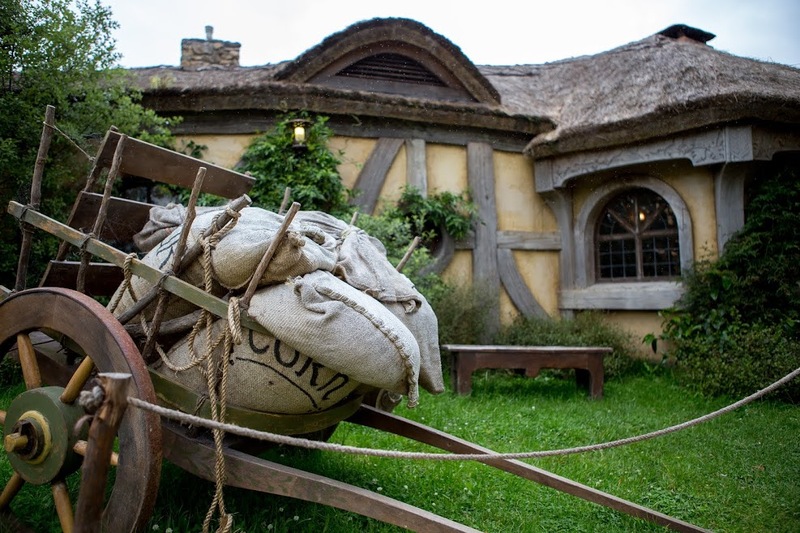 As the crew was dismantling the Hobbiton set, the weather turned sour, and the studio and owners of Alexander Farm (where Hobbiton was built) agreed the work could be completed when the rainy season ended. 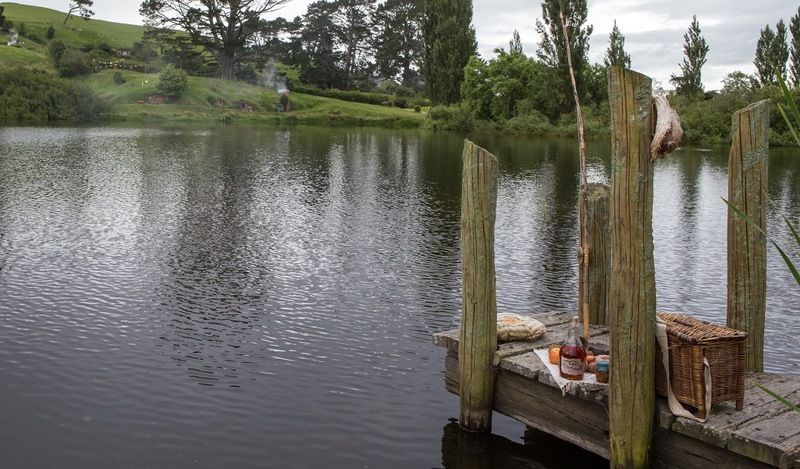 However, during this time, The Fellowship of the Ring hit theaters, and some canny kiwis recognized the location where The Shire was filmed. They showed up at Alexander Farm one day, asking to see the hobbit holes. The owners obliged, and as the word got out, more LOTR faithful appeared to see what remained of the set. As more and more fans appeared at the Alexander’s doorstep, it became clear that a profit might be made. 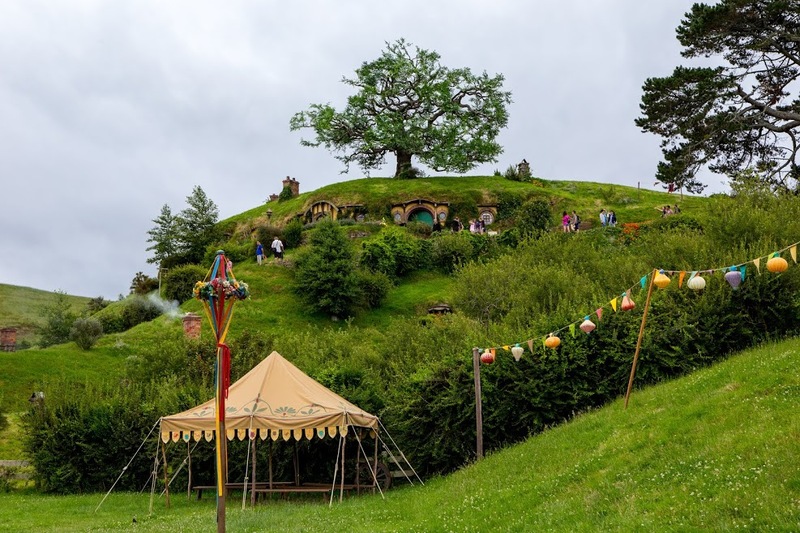 Then, years later, when Peter Jackson returned to film The Hobbit trilogy, the family agreed to let him rebuild The Shire, on the grounds that the hobbit holes be constructed to last and the family be able to open the area for tours when filming was complete. 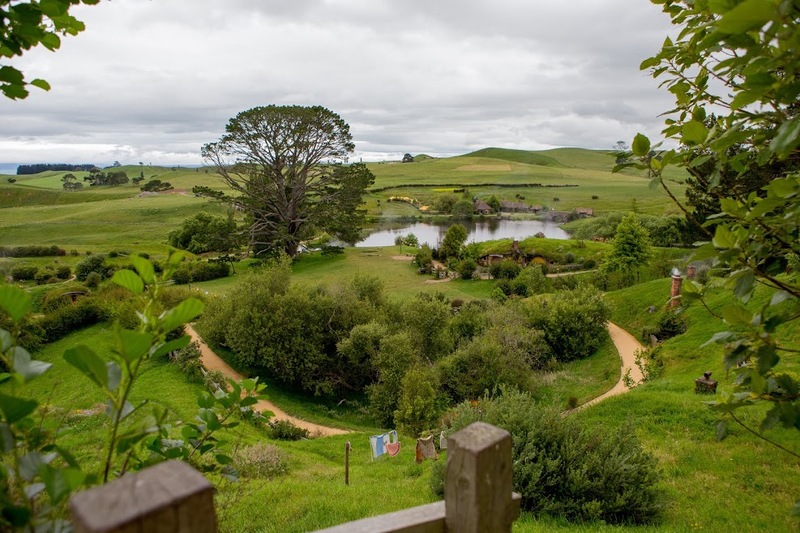 With a founding story like that, there are a great many things that could have gone wrong with the Hobbiton experience: it could be gimmicky, overrun by tourists, entirely lame, and a huge waste of money. As it turns out it is, in fact, none of those things. This enchantment is owed to in part to the extreme detail put into every inch of the village by the set designers (straight down to the fake moss made of oatmeal and glue added to fenceposts). What’s more, the Alexander family is sly at maintaining the heart of experience (like adding fake adverts throughout the Green Dragon). The gardens are real and tended to daily, filling your sinuses with the aromas of fresh grown herbs and vegetables; creating a level of immersion you’d never get at a theme park. What was that last time you felt welcome and peace at Islands of Adventure? 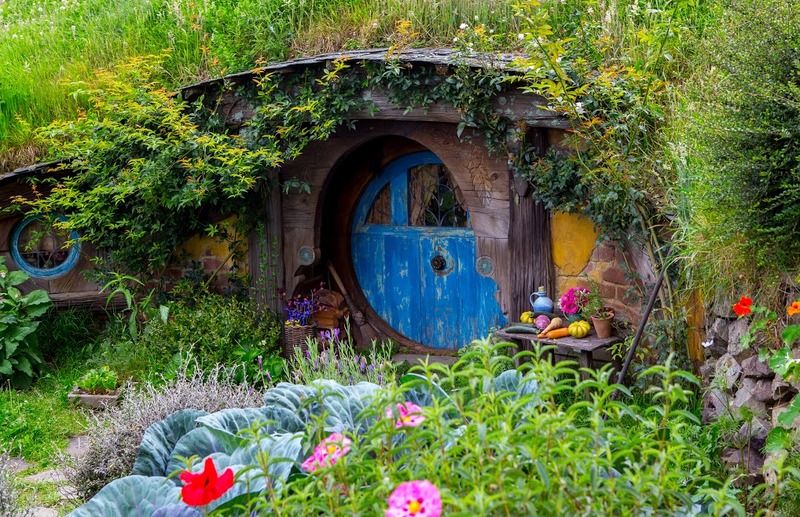 Every hobbit hole is themed as well, relevant to the occupation of the hobbit living there, be it: fishmonger, butcher, bee keeper, cheesemonger, baker, woodcutter, carpenter, or even town drunk (keeping you on the lookout for hiding hobbitses). 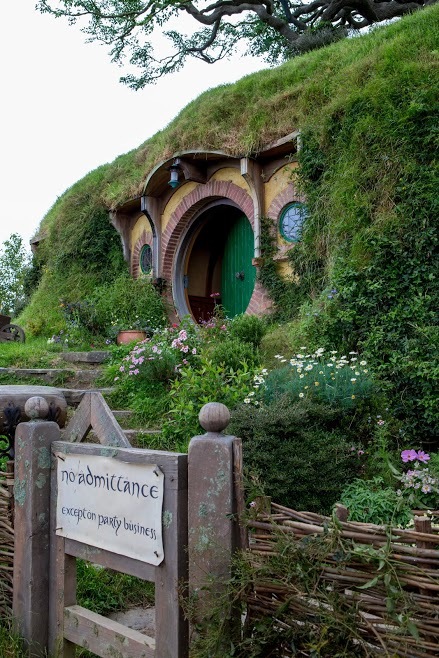 At the top of The Hill, of course, is Bag End – where there is no admittance except on party business. So naturally, we were not allowed inside. Not that you could enter Bag End or any of the other hobbit holes for that matter: each of the holes is only a facade built into the hill. 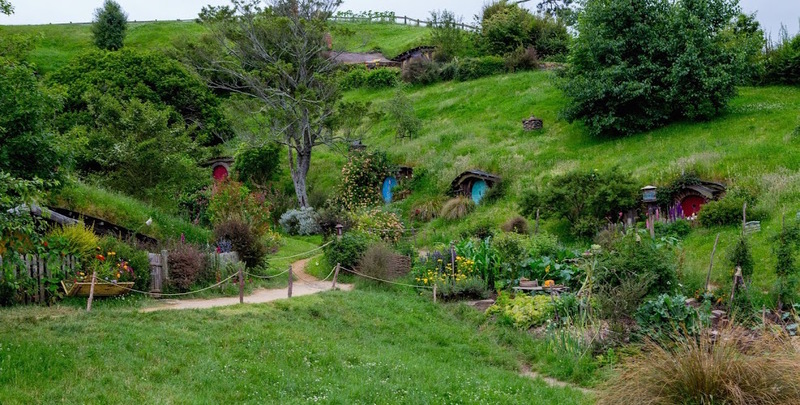 (The interior of Bag End was filmed in Wellington, hundreds of kilometers south of Hobbiton.) But the truth is neither here nor there, as the real beauty in visiting The Shire is that you believe you’re actually there. Diagon Alley, part of Universal Orlando’s Wizarding World of Harry Potter, is beautiful and perfect in its detail, but marred by hordes of muggles congesting the sights. Meanwhile, The Alexander family embraces the true spirit of The Shire, and lets you experience Hobbiton in comfort and peace. Our group was about 25, and each group is staggered to start their tours, so you won’t find yourself wandering aimlessly around Hobbiton, blocking others’ views, or waiting in long lines to get a photo in front of a hobbit hole. 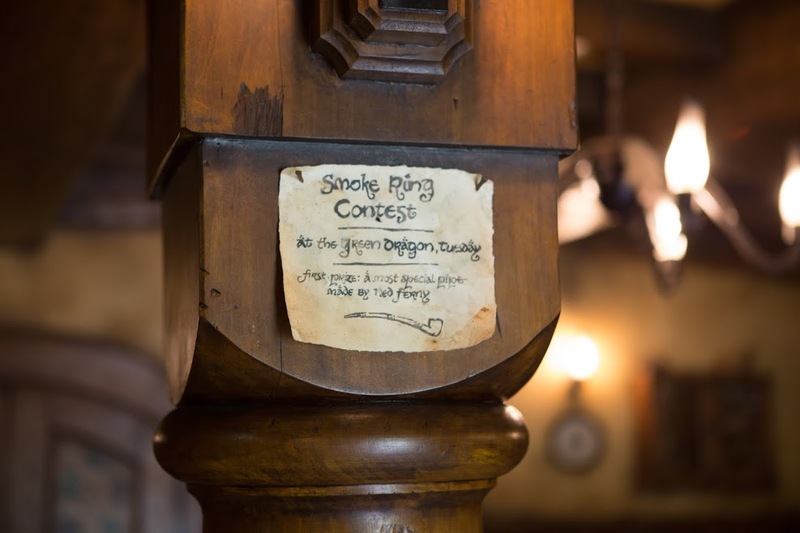 Grabbing a pint at the Green Dragon is also a lovely way to start, as you’re able to marvel at the details in the pub and soak in the expanse of the hobbit holes. 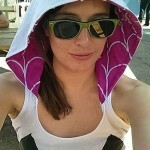 Of course, it also doesn’t hurt that your tour guide is a giant nerd herself. Our guide was full of fascinating trivia about the details of filming, and making amazing puns that only big fans can appreciate. For example, did you know the oak tree above Bag End is a fake? It’s true! The trunk and branches were removed from another location in New Zealand, only to be reassembled at the top of The Hill. And the leaves? Those are artificial, and each was hand wired to the branches to make the tree look as realistic as possible. As I said, an incredible amount of detail went into the set and experience, and the Alexander family does a fantastic job maintaining the magic. 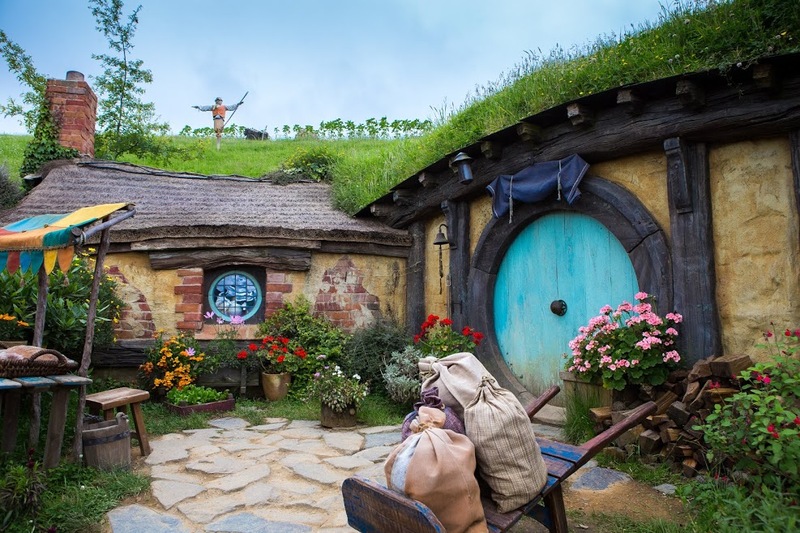 After all, hobbit holes mean comfort, and you’ll feel at peace and at home as you wander Hobbiton It’s absolutely worth a visit if you find yourself in New Zealand. My only regret is that we couldn’t spend more time there… and I could have gone for another pint. All photos courtesy Steven Lewandowski.